Christmas gifts all purchased, wrapped and placed under the tree. Cookies baked, cards mailed...............time to unwind! 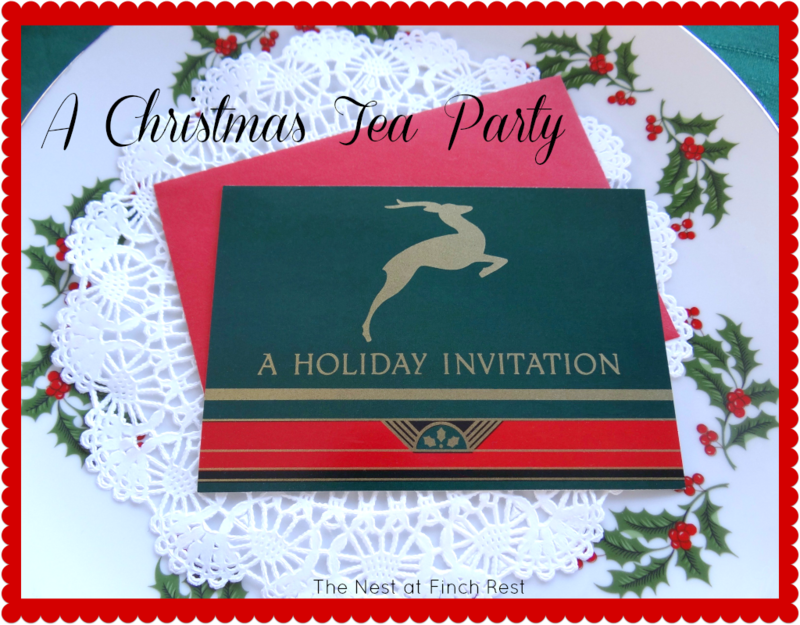 to join me for an intimate little tea party today. and to wish them a joyous and Very Merry Christmas. just used little gold demitasse spoons for their sugar and/or milk. without seeming too busy or overdone. and napkin rings had the Christmas theme. lined them down the center of the table as a centerpiece. Hope you're not TOO sick of seeing Christmas stuff yet! The little china teacups below were the favors I gave each of them. at a Christma tea I hosted a few years ago. to remind me of our fun together! Hope you find a moment soon to unwind, too! Hello and Merry Christmas, Michelle! WHat adorable favors...I bet your guests were delighted. The cookies look great. No better way to unwind than with tea. Add a few friends and some delicious goodies -- perfect! Sick of Christmas? Perish the thought! I don't even pack up Christmas until after the first week of January. I really like the way the food and candies "pop" on white dishes. Just the right mix of color and neutrals. I'm so enjoying my tea cup arrangement. Hope that you have a chance to visit and see it in its new home. 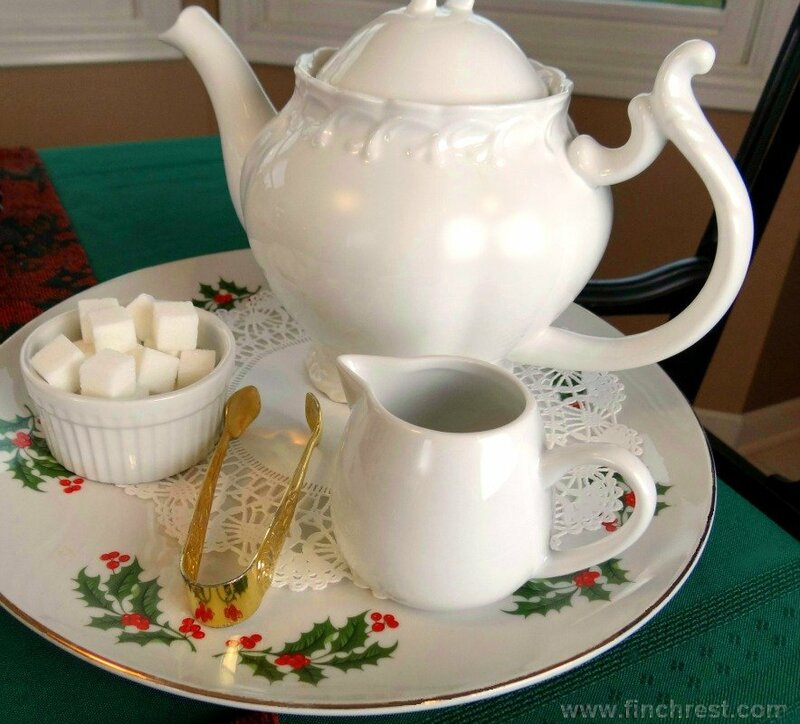 What a lovely tea table, Michele! 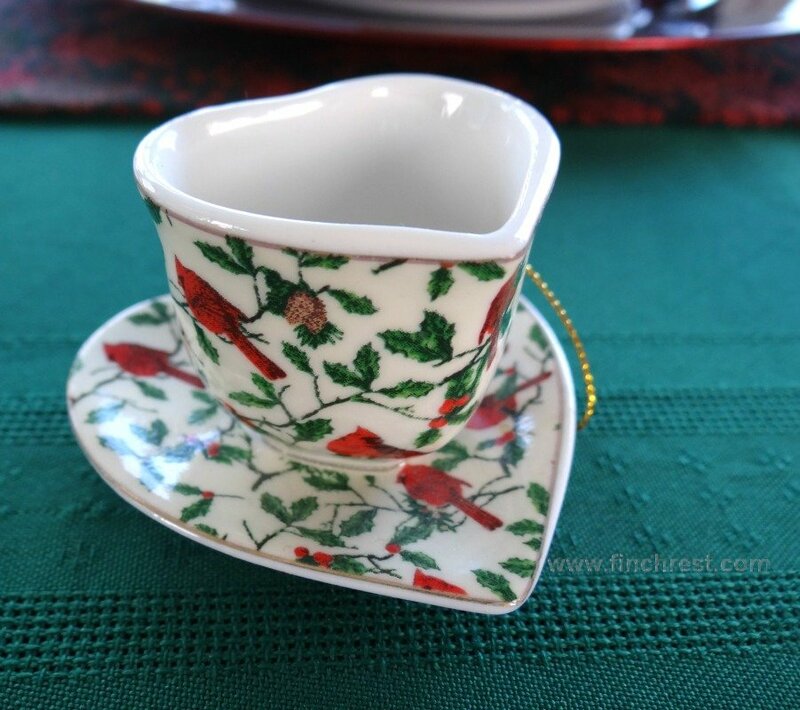 I love those little teacup ornaments you gave as favors ~ they are a perfect memory of the day and are something your friends can add to their own trees. SO lovely, I could so totally unwind at your table! Charming! 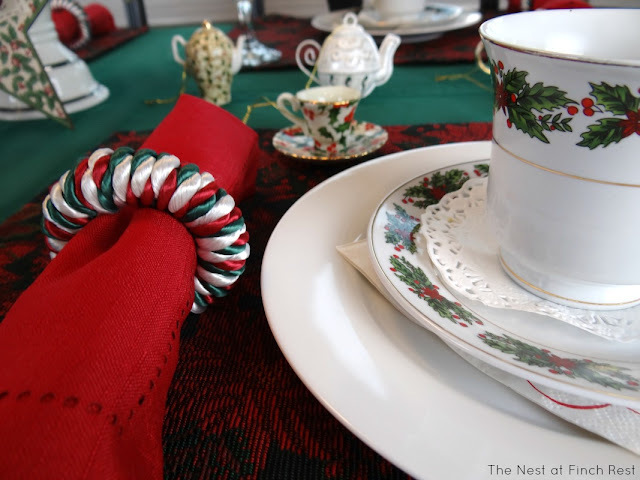 You have given me so many idea, such as ... add color to the tea tray with foil-wrapped Hershey's kisses in Christmas colors (or Valentine's, etc.) 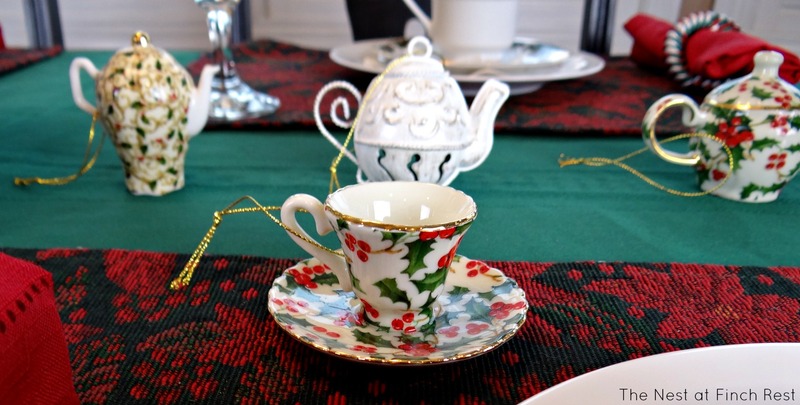 And I would not have thought of using my tea-themed ornaments as table decorations. Instant decor! 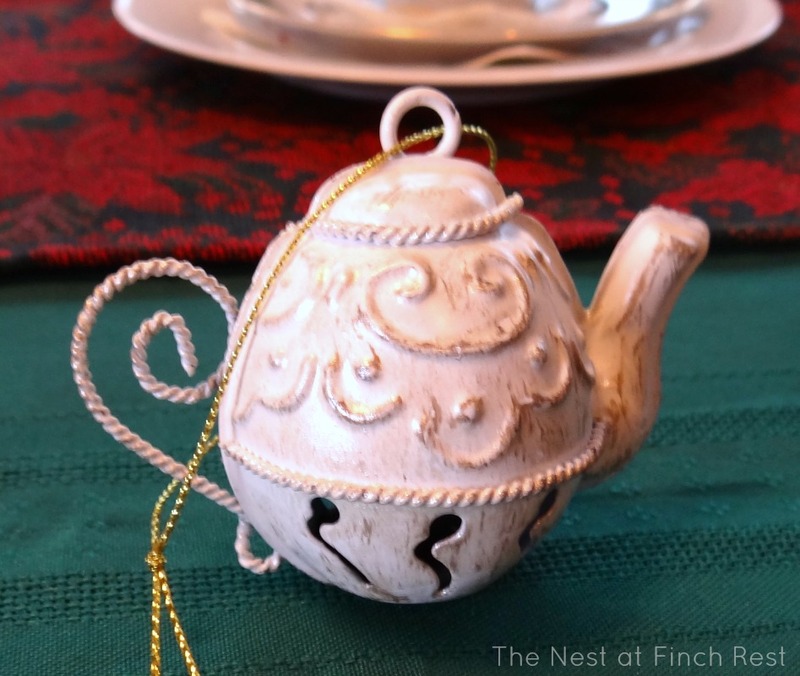 Also loved seeing your little chintz teacup ornaments. One matches a teacup I found a few years ago. Everything just looks so pretty and so cheerful! The tea table looks wonderful, and I like the idea of just cookies, tea and lots of conversation. This is just beautiful. Warm and inviting. Wanting to make sure to make it around to wish you a Happy Holiday and Merry Christmas! Just stopping by to wish you a very Merry Christmas, Michele! What lovely photos. You really know how to host an afternoon tea! Enjoy your holidays! Michele, you are always such a sweet and wonderful hostess. Always so willing to invite friends into your lovely home for food and thought. The little favors are so sweet and I love last years too. Blessings to you and your family for Christmas. Thanks for sharing with Share Your Cup. I am ready for some of your quiet tea time with a few friends. 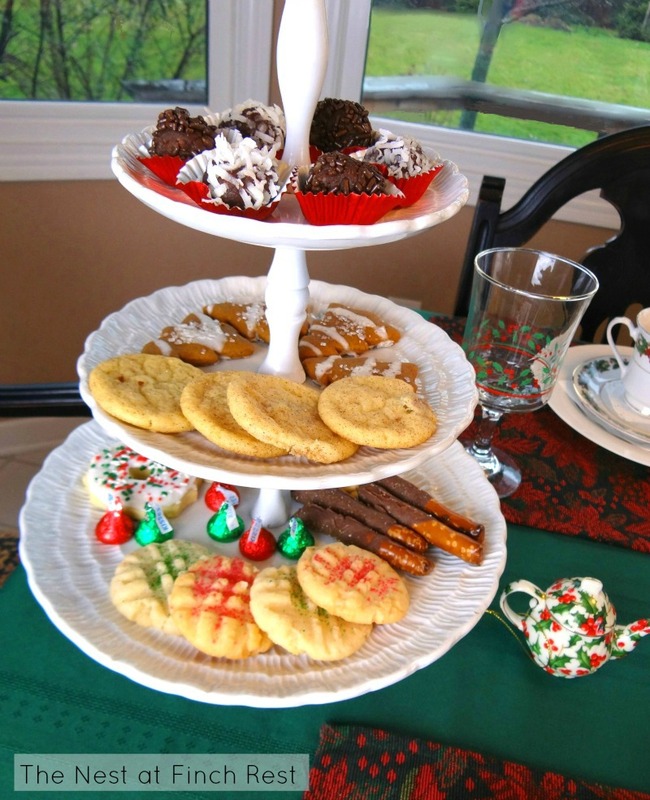 Your table is pretty and the cookies look ready to eat. Enjoy your time with friends. Merry Christmas.